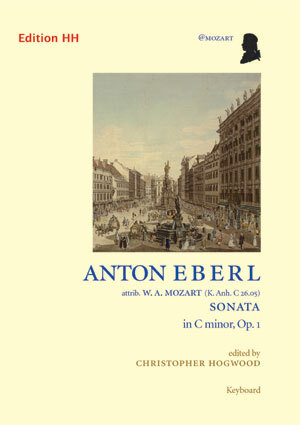 Anton Eberl, nine years younger than Mozart, also began life as a prodigy, and became a friend of Mozart and probably also a pupil; his compositions show such an acquaintance with Mozart’s style that misattributions were inevitable. This dramatic sonata was first published by Artaria as Mozart’s Op. 31 in 1794, but reissued with revisions, as Eberl’s Op. 1 four years later. The autograph, for a long time thought “lost”, has recently been located and used as a prime source for the first time in this edition. Professor A. Duane White points out that Eberl’s “seven piano sonatas alone are sufficient reasons to restore his name to a prominent place among composers active in Vienna at the time of Beethoven”. Hogwood has again produced a fine, unfussy edition with good notes, printed clearly on nice paper, and with facsimiles of the opening of the sonata from both the autograph and the inaccurate Gerstenberg edition, to allow comparison.